Stour Vale Mill – our home! The town of Kidderminster, Worcestershire, lies about 20 miles southwest of Birmingham in the English industrial midlands. It has been a centre of weaving for many centuries, and in the mid – late 18th century began to specialize in new forms of carpet weaving, earning the title of Carpet Capital of Britain. 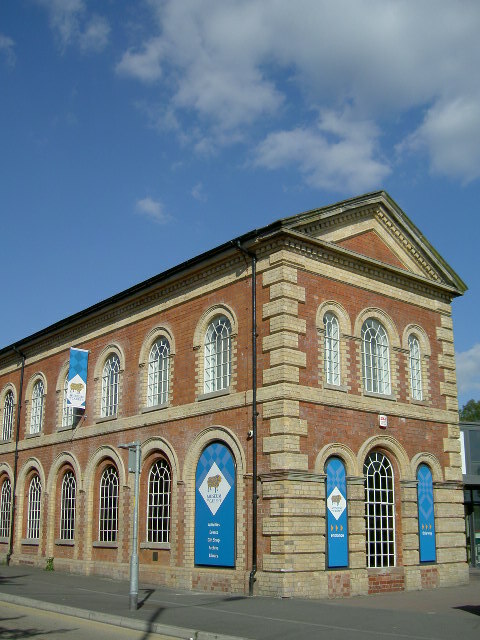 The Museum of Carpet is housed in the historic Stour Vale Mill, a grade 2 listed industrial building on Green Street. Built in 1855 for Woodward Grosvenor, a partnership formed between Henry Woodward, who had started his company in 1790, and Benjamin Grosvenor, Stour Vale was the first steam-powered carpet mill in Britain. Woodward Grosvenor continued producing carpet upon this site until it became part of the Brinton’s group in 2003 and moved over to the Stourport Road. Former staff of Woodward Grosvenor volunteer to run our looms and guide our tours, whilst others regularly visit to reminisce about their time in the trade. A branch of the company, now trading as Grosvenor Wilton Company Ltd, is based in Belbroughton, where they remains the major weaver of Brussels and Wilton carpets. The carpets produced there are very exclusive and often can be seen in English Heritage and National Trust properties.